I don’t do dangerous. Smart, über-careful, ordinary Samantha-that’s me. But I just couldn’t pass up a surprise kiss from my number-one unattainable crush. A kiss that did something to me…something strange. Now I feel hungry all the time, but not for food. It’s like part of me is missing-and I don’t know if I can get it back. Then there’s Bishop. At first I thought he was just a street kid, but the secrets he’s keeping are as intense as his unearthly blue eyes. If he’s what I think he is, he may be the only one who can help me. But something terrifying is closing in, and the one chance Bishop and I have to stop it means losing everything I ever wanted and embracing the darkness inside me…. From Goodreads. 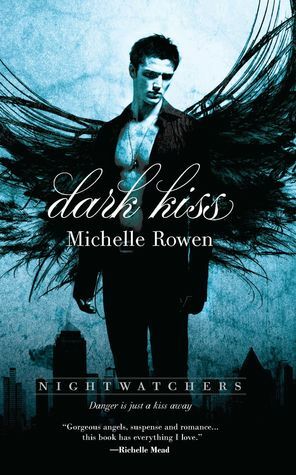 Honestly the only reason I read this book was 2 reasons at first, one was the hot guy with wings on the cover and the other was because of the steamy name of the book. Boy was I happy that I read this book too. 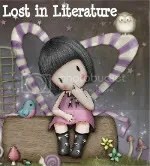 There were so many parts of this book that I felt bad for Samantha, it was like being stabbed multiple times but so many people because she was continually lied to, especially after she has been lusting after a certain neighbor that tells her nothing and kisses her only to change her into something that she doesn’t want to be. All I can say is boys; you never know what they are going to do. Honestly if it had been me, I don’t think I would have been able to trust anyone but she does. Bishop is an angel, which of course is super hot and that means that he is super hot in that supernatural way that all girls love. Okay and women, we all love it. I thought that he was a nice guy but I didn’t like that he was hiding things from Samantha when he obviously needed her help when things started to go haywire. I loved how in this book, the angels and demons worked together because they needed to take down another type of bad guy. Which happens to be what Samantha was changed into, hopefully she will get that free pass as long as she holds back from I guess it would be intimacy in anyway. Which kind of blows for her, I really want her to get her soul back because she deserves it.